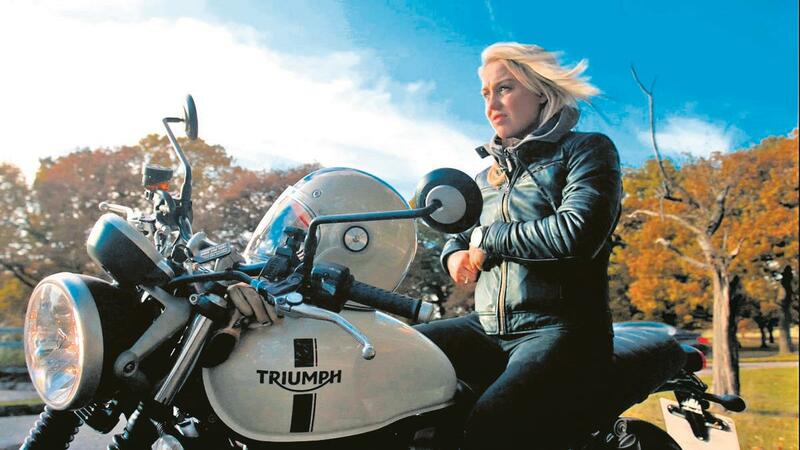 British snowboarder and Olympian Aimee Fuller teamed up with Triumph after passing her bike test. In November last year, Aimee showed off her new wheels on Instagram, revealing that going for a ride to escape stress is an important part of her life, currently favouring Triumph’s new Street Twin. Fuller raced motocross as a child, managing a second place in the British championships, before she took to the slopes. Aimee says: "On a bike for me, I get the same feeling when I’m in the mountains. When I’ve achieved something and then to just physically enjoy and ride, it’s the same as when I snowboard. "With snowboarding I have pressure, you know, self-inflicted of course, but pressure to succeed. Whereas riding a bike it doesn’t matter the outcome, it doesn’t matter how fast I go, or where I ride, it’s just something for me and that’s special." In 2014, before heading to the Sochi Winter Olympics, Team GB women’s slopestyle snowboarder passed her CBT with the help of KTM UK. Fuller, then 22 years old, qualified for the Olympics with a fifth and eleventh at the previous two World Cups, and sat eighth in the world rankings. 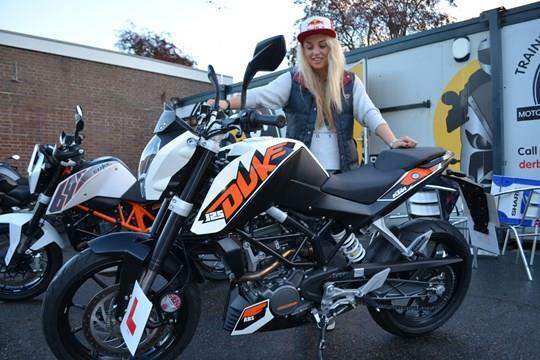 Taking her CBT on a KTM 125 Duke, Aimee was no stranger to the Austrian machines, racing motocross on a KTM 50SX for a number of years before taking to the slopes. With a full test planned for after the Russian adventure, Fuller already had big plans for her biking future, saying at the time: "I’ve always wanted to get a road bike, but I’ve been so busy travelling and competing all over the world to find the time to do it. "Fortunately, I was able to do my CBT with Shires on a 125 Duke. I’ve sold my car now, so once the games in Sochi are finished I’m going to complete my full test and get a 390 Duke. "Bikes will be a buzz for me when I’m away from the slopes and I’m planning a big tour through Norway in the summer taking in snowboarding, surfing and bikes – as long as I pass my test!"